Quality construction offers a significant smooth ride over rough trails. Extra lugs on shoulder of tire to protect the sidewall and rim! Suitable for desert, mud, dirt and rock applications. 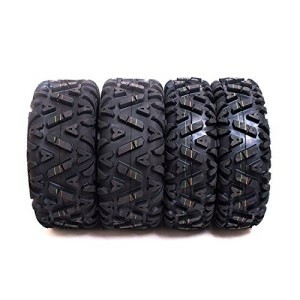 Truly, a great all terrain tire for your ATV / UTV.